Soaring hundreds of kilometers above the Earth, a NASA satellite monitors soil moisture in the ground far below, probing drought conditions. Scientists at NASA Jet Propulsion Laboratory (JPL) analyzed these data and combined them with wildfire information from the U.S. Forest Service and land cover data from the U.S. Geological Survey. They used the results to assess fire risks, taking the first important step toward developing predictive maps for fires throughout the continental United States. The JPL scientists, a team led by Nick Rousseau in NASA’s DEVELOP Applied Sciences Program, find that soil moisture data alone can approximately explain the distribution and extent of fires, from the Sierra Nevada to the western plains to the Florida wetlands. Their results determine how much the dryness of regions indicates fuel available for fires. They reported their findings on Wednesday at the American Geophysical Union Fall Meeting in San Francisco, Calif.
Every year, wildfire outbreaks cause economic loss, property damage, and environmental degradation. Local, state, and federal agencies want to prepare for fire activity, and knowledge about particularly high risk areas would help them do so. If these new maps could be used to predict wildfire potential, then they would be an invaluable resource. “This shows how much overall area is likely to burn, which could be a useful tool when Congress allocates resources for fire management,” said Sparkle Malone, a research ecologist at Rocky Mountain Research Station in Fort Collins, Colo., who was not involved in the study. The combination of climate change and spruce bark beetles could drastically alter Rocky Mountain spruce and pine tree populations over the next three centuries, according to a new study. Using an improved model of forest growth, death, and regeneration, a group of scientists predicts that spruce populations will decline and lodgepole pines will take their place. 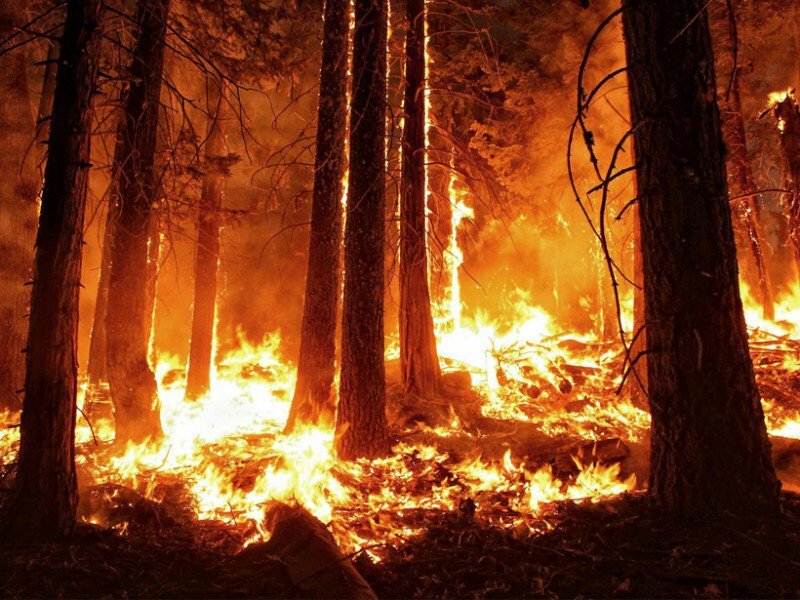 According to new research presented at the 2015 American Geophysical Union Fall Meeting, the demographics of a forested region can be dramatically affected by insect outbreaks and fires over time. In addition, different kinds of trees have different tolerance to drought, strong winds and temperature changes. “These act to create competition between individual species and even between trees,” said Adrianna Foster, an environmental scientist at the University of Virginia and lead author of the new study. 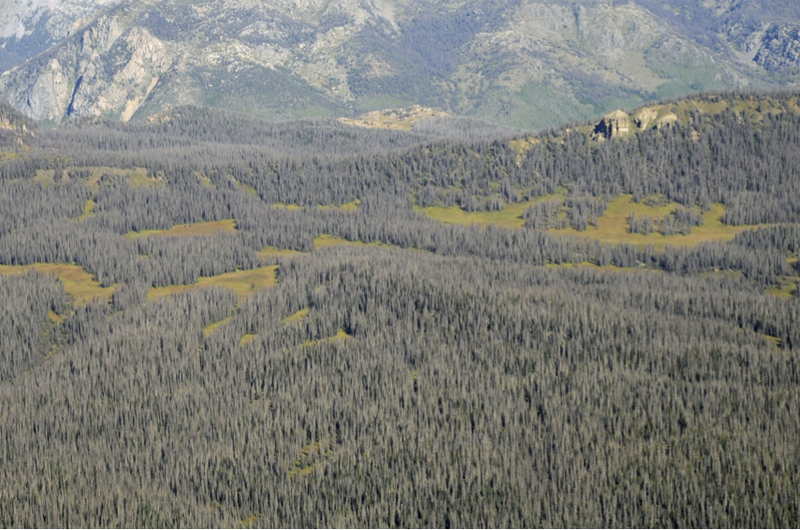 Bark beetles are tiny–only a quarter inch in length, smaller than a grain of rice–but given the opportunity, they can rapidly consume a forest. According to the U.S. Forest Service, over the past 15 years, pine beetles have devastated Rocky Mountain forests, killing off tens of millions of lodgepole pines. But if the new study’s predictions are correct, the trees stand to make a comeback as spruce trees decline, according to Foster. Particular areas in California’s Sierra Nevada Mountains have a high capacity to store water but are more susceptible to droughts than previously thought, new research finds. “The areas we think that are most resilient to drought are actually more vulnerable to the transition from historical droughts to more extreme ones, like the one happening now,” said Rowan Gaffney, a geoscientist at the University of Nevada, Reno, and lead author of the study. 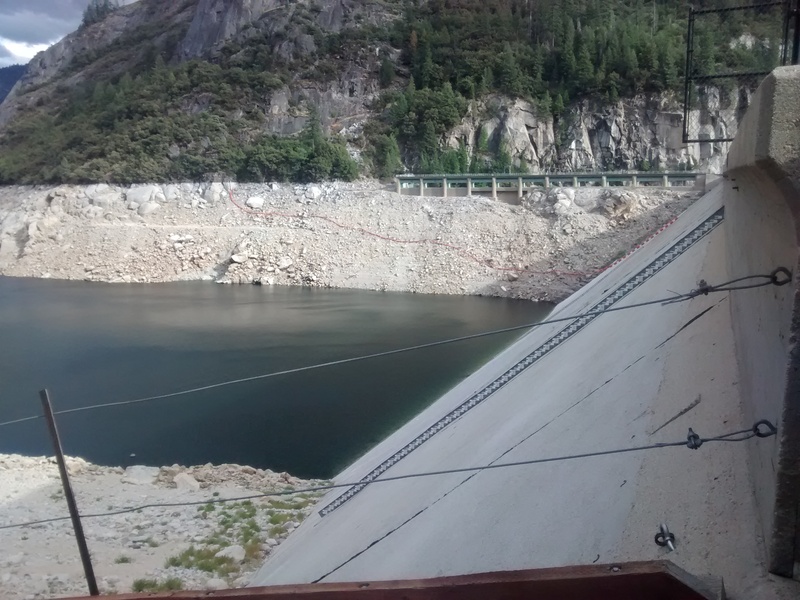 Every year, accumulated snowpack in the region stores water, which melts during the summer and recharges groundwater that flows into river and stream areas. Ecosystems, communities and agricultural irrigation depend on that water downstream, Gaffney said. In the new study, Gaffney and fellow University of Nevada geoscientist Scott Tyler investigated the relationship between groundwater and stream flow in 10 strategically chosen locations throughout the Sierra Nevada in eastern California. High groundwater storage areas are losing the most water during the current drought, Gaffney reported at the 2015 American Geophysical Union Fall Meeting.